Anytime I'm looking for a dress - whether it be for work, date nights or special occasions - my go-to has really become Asos! They have so much selection at many different price points and they've pulled through for me so many times. This dress is one of my favorite purchases of the summer! 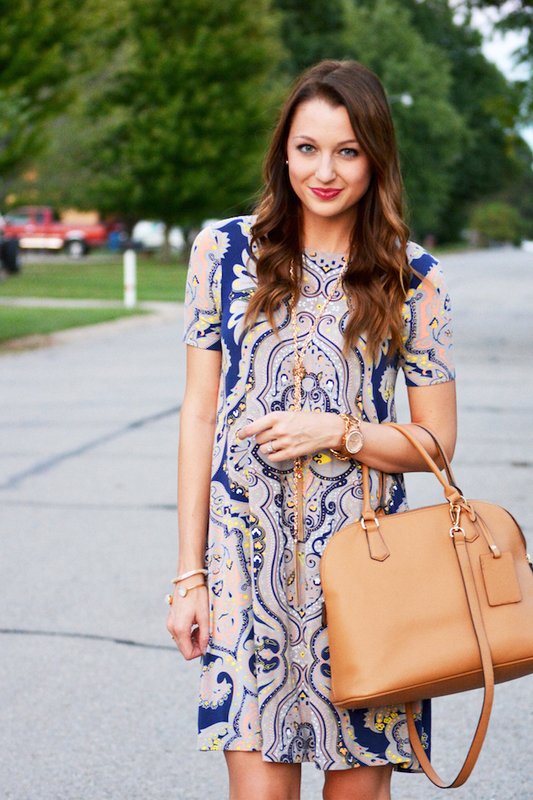 I loved the bold colorful pattern, but that it wasn't overwhelming, and I really loved how versatile this dress is. I originally bought it for our honeymoon, but it's conservative enough for me to wear to work, and I think it will be an awesome transition dress for fall with booties too. To celebrate the end of summer, take an extra 15% off of your order at Asos with the code 'SUMMERDONTGO'!